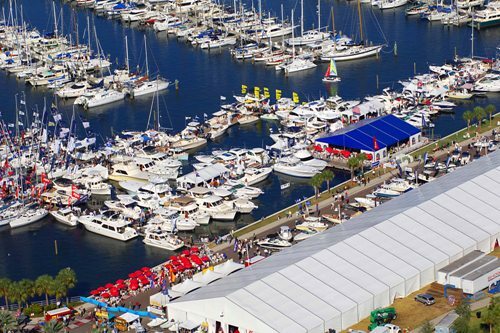 This show, which takes place today through Sunday in St. Petersburg, Florida, claims to be the largest boat show on the Gulf Coast. We'd love to be there, so if you're on the Gulf Coast of Florida, we recommend you stop by the show and let us know how what you think. 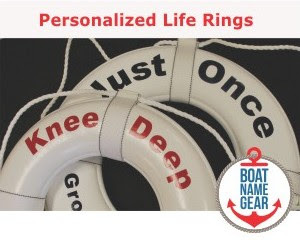 Sorry recreational boaters, but this one's for marine industry insiders only. The "biggest commercial marine tradeshow in North America" (according to the show's website) is happening through this Friday (12/2/2011) in New Orleans. You could call it the Paris Boat Show, or you could sound sophisticated and call it Salon Nautique International de Paris, but either way you should be there this Saturday (Dec. 3) through Sunday the following weekend (12/11/11) if you want to see the boats in the City of Light. Asia's biggest and most popular regatta (or so says the event website) kicks off this weekend in Thailand. Lastly, this one doesn't start until Monday, Dec. 5, but it is worth mentioning. The 50th Antigua Charter Yacht Show runs through Saturday the 10th. If you are attending the St. Petersburg boat show, you won't be far from the Fort Myers Beach Christmas Boat Parade happening Saturday evening. Virginia also has its Hampton Lighted Boat Parade on Saturday. Lake Havasu City, Arizona, hosts its London Bridge Yacht Club Boat Parade of Lights on Friday and Saturday this weekend. And Destin, Florida, holds its Holiday on the Harbor Destin Boat Parade on Sunday, 12/4/11. We have these and a few other boat parades in our boating events calendar, but there may be more parades near you . Try a GoogleNews search (enter the phrase "boat parade" and the name of your town or closest port city), or contact your local seaside town or marina. 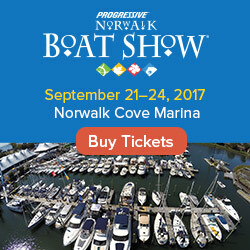 As always, there are more details about most of these events - including links to the official websites - on our calendar of boat shows. If we missed an event in this article or on our calendar, please comment or post it on the Daily Boater Facebook page.